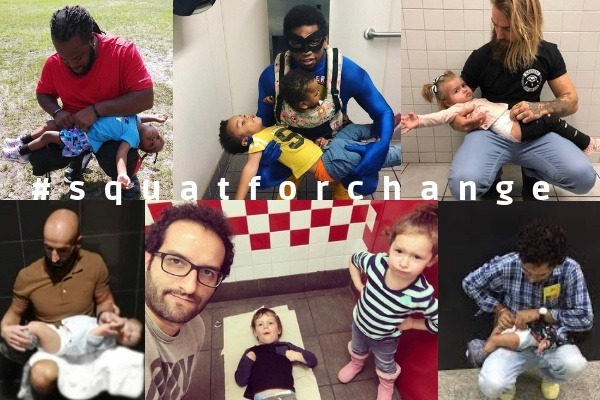 Squat for Change is leading the charge to ensure all members of the family have access to safe, clean changing tables in public restrooms around the world. We are a grassroots organization pushing for social and legislative change that ensures no matter which restroom you use, you never have to put your back against a wall to change a baby. 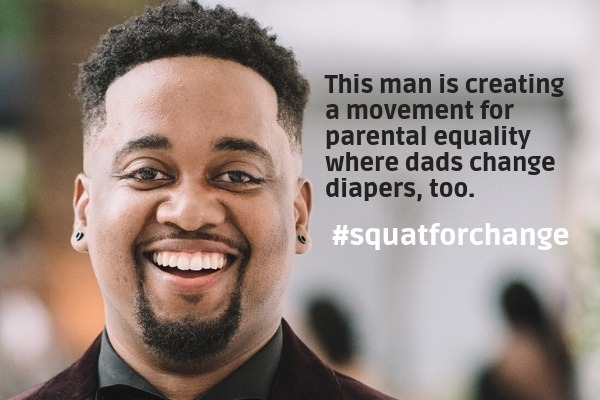 Through your generosity, we can make the culture of diaper changing a family affair. 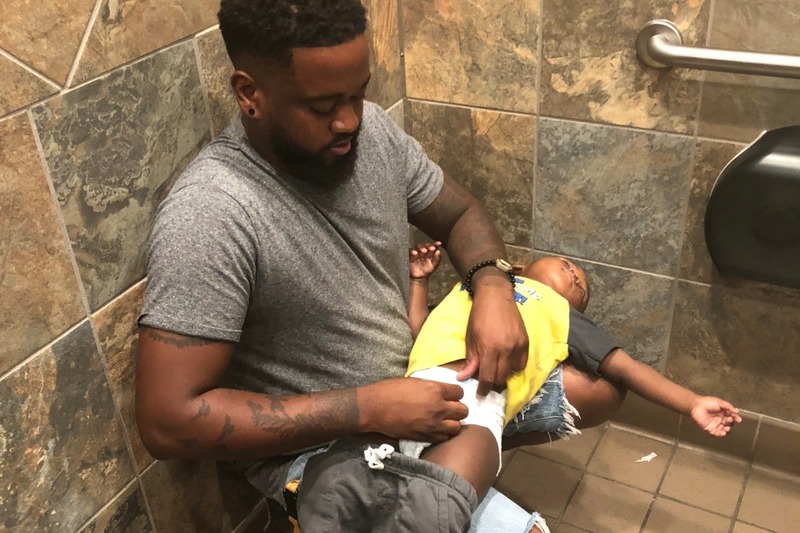 For Donte Palmer, a stay-at-home dad with three boys in Northeast Florida, finding a men's room without a changing table is the norm. When his older son saw his dad's frustration, he snapped a pic and this family's story went viral. By not having changing tables in all publicly-accessible restrooms, businesses are unwittingly reinforcing what we think of as a "mom job" vs. a "dad job." We believe that should change. And so do thousands of people around the world. Dads, uncles, brothers, babysitters, and even friends know that caring for children isn't just women's work. They want to take care of children, too, but they need the resources to make that happen. Help us spread the message of #squatforchange to businesses and legislators around the world. Your support will ensure we can fight for a real change that will strengthen and support families. Squat for Change is undertaking the process of legally incorporating in Florida to have the accountability and infrastructure to reach as many businesses and legislators around the world as possible with maximum transparency. President and founder, Donte Palmer, has hired a small but mighty team of experts to help execute the work necessary to bring about permanent change to the world of parenting. With the funds raised through this GoFundMe campaign, our team will be able to undertake the expensive work of social change. Between travel costs to conferences and speaking engagements, marketing efforts (including branding, business cards, website creation and maintenance, and other marketing collateral) and day-to-day business expenses, the Squat for Change team need your support to make this campaign successful. All funds withdrawn will go toward the direct expenses and management of the campaign. Should any funds remain, those dollars will be donated to National Diaper Bank Network which works to meet the basic needs of all children and families living in the United States. If you would like more information on how the funds will be used, or an accounting of the efforts thus far, please do not hesitate to contact the team at squatforchange@gmail.com.